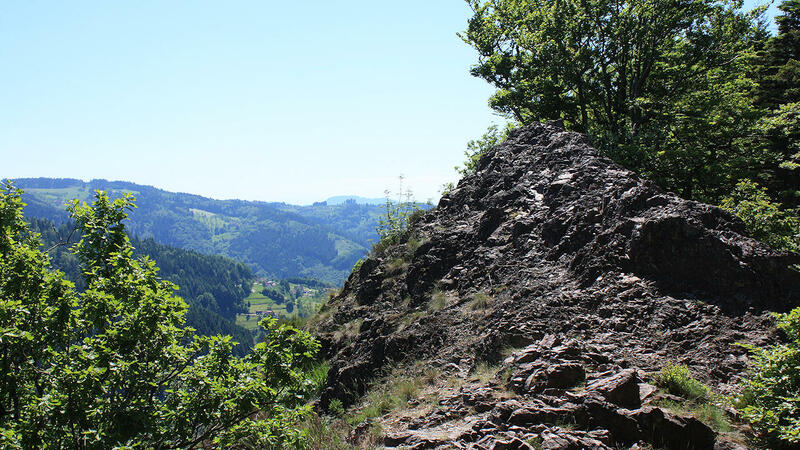 The rocks of the Karlsruher Grat (Karlsruhe Ridge) consist of quartz porphyry which came into being around 250 million years ago through the cooling of the magma filling of a fissure which was 4 km long and 750 metres wide. 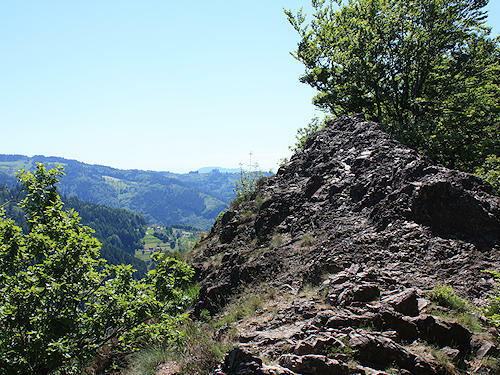 The harder porphyry remained as a ridge after the erosion of the surrounding softer rocks. The Karlsruher Grat can be accessed from the Black Forest High Road (turn off towards Allerheiligen at the Ruhestein, car park at the Bosenstein after approx. 3km), or from Ottenhöfen from the parking area for hikers at the Edelfrauengrab Waterfalls. 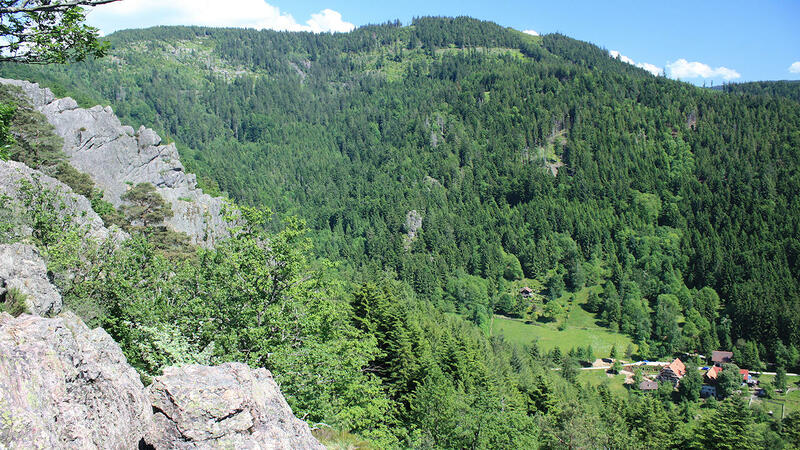 From here a fairly strenuous ascent through the Gottschläg Valley has to be overcome first of all. This is very beautiful, however, and takes you past the Edelfrauengrab Waterfalls, amongst other things. There are no marked paths on the ridge itself, you are left to find your own route, and sometimes you have to turn back because there is no way through. Surefootedness and strong shoes are prerequisites. If required, more difficult places can be circumvented via a parallel path running up the north side of the ridge. 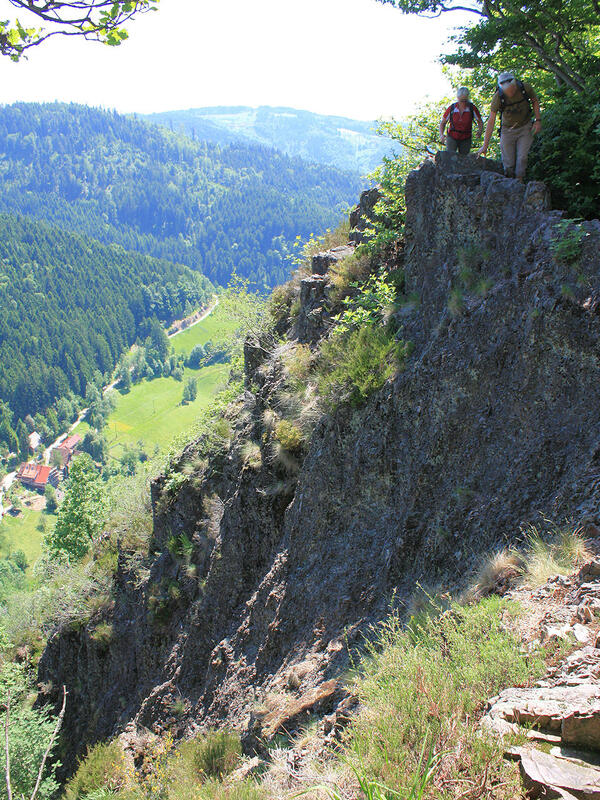 The climb up the Felsenweg Trail takes approx. 1/2 to 1 hour. 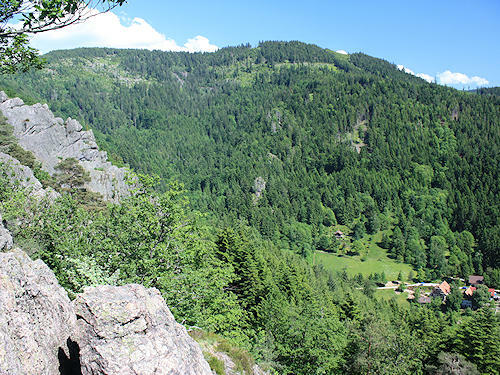 Incidentally, the Karlsruher Grat was named in 1926 in tribute to several climbers from the Karlsruhe region who died in an accident on the ridge.